Skoda, famed for installing umbrellas in the doors of its Superb, is now offering them in Citigo, Fabia and Octavia models. 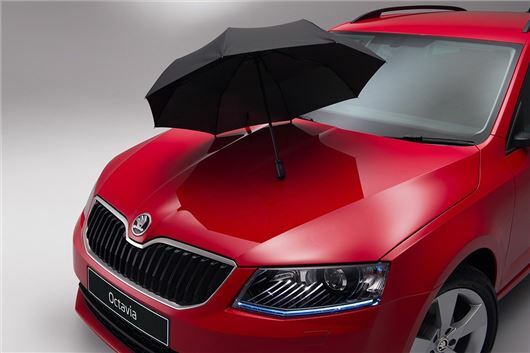 Available from August 8, the brollies will be standard on Citigo and Fabia models in SE trim or higher, or £25 as an option on Octavia SE or higher. Unlike the umbrellas fitted to the Superb, which are kept within the doors, the Citigo, Fabia and Octavia will come with a ventilated, water-repellent under seat tray. The umbrella itself has an anti-bacterial coating to reduce the chances of it getting musty when stored away after a shower.